Litore One – electric day-cruiser powered by Torqeedo Travel engine. The vessel has been engineered from inside out to maximise usable space using high-quality materials, for a minimalist and efficient design at every level. Litore one is the first electric day-cruiser powered by Torqeedo Travel motor. 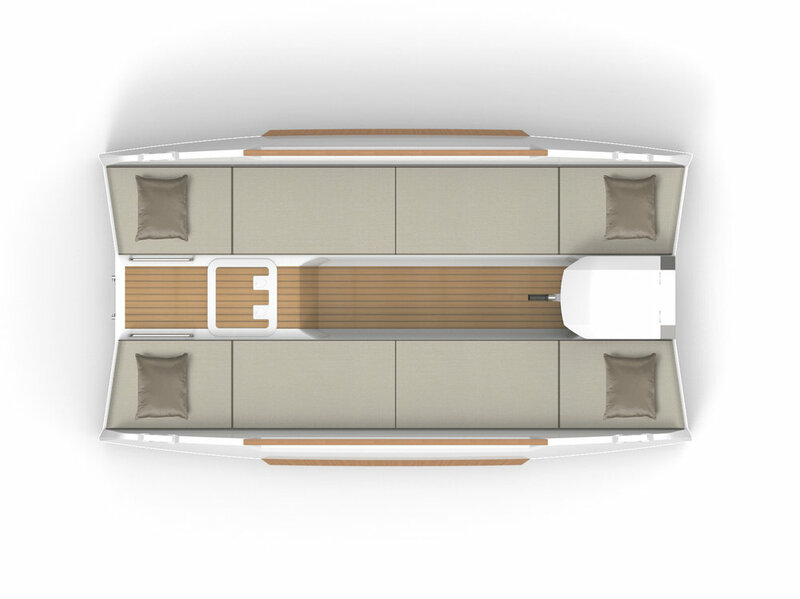 The elegant multihull combines the space and comfort up to 5 people with a range suitable for everyday use, catapulting the passengers into a new era of easy boating.Forward-looking, innovative, and electric – the next step into easy boating.